← International Customers – LAST CALL THIS WEEK FOR CHRISTMAS DELIVERY! Shop PhoenixFire Designs at A Very Merry Market inside at Great Explorations / Sunken Gardens in St. Pete! This awesome event offers FREE holiday snacks, FREE champagne and even FREE gift wrapping! Get your holiday shopping done in style with unique, handmade and local gifts! 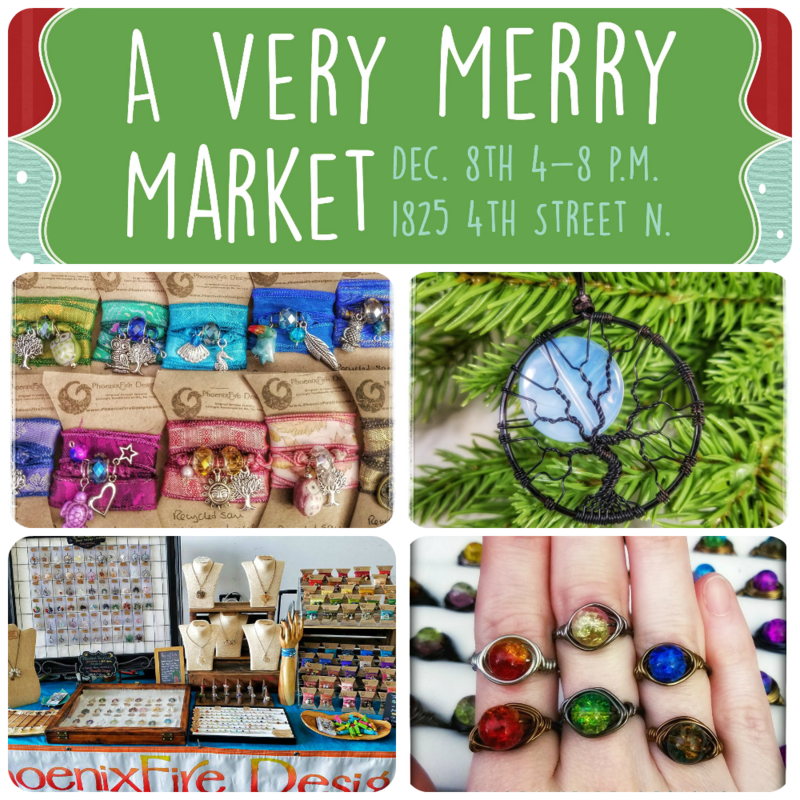 PhoenixFire Designs will be a vendor with a selection of our 100% handmade from scratch jewelry, including our signature wire wrapped tree of life pendant necklaces, recycled sari silk wrap bracelets, gemstone jewelry and more! Celebrating over 10 years on etsy, you can trust PhoenixFire Designs for our quality, luxury, and beauty!